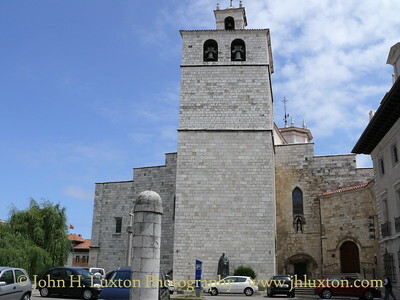 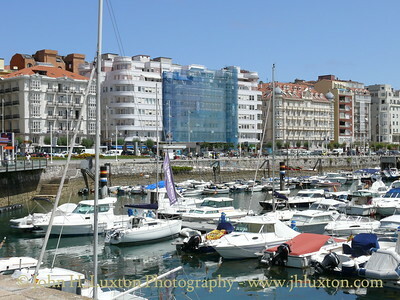 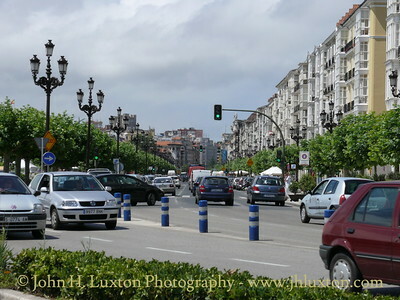 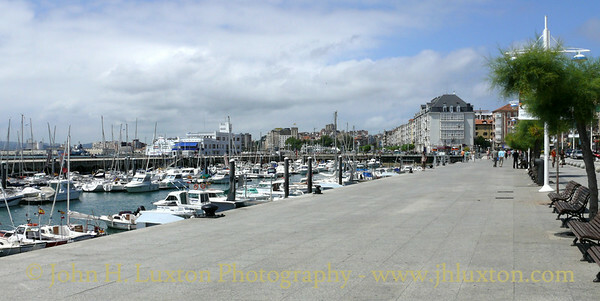 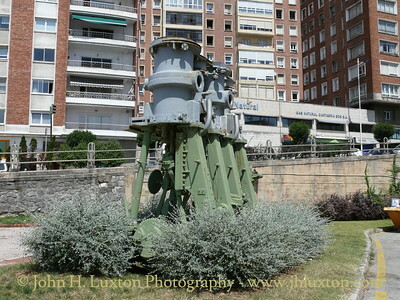 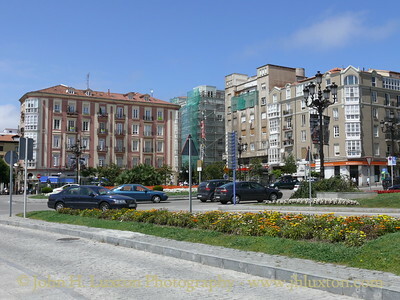 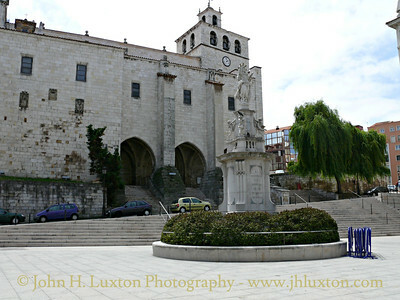 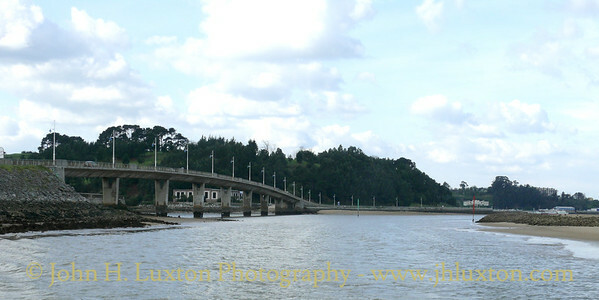 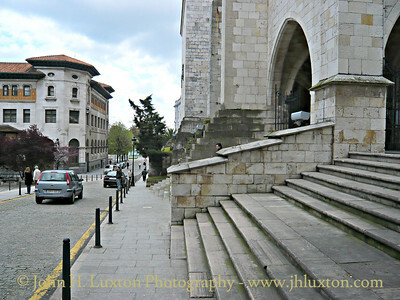 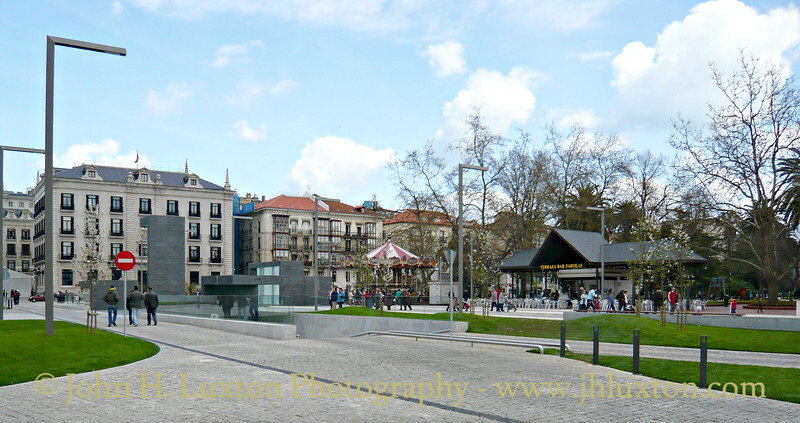 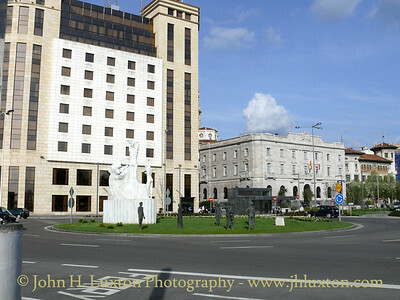 Photographs of the City of Santander taken on excursions trips from Plymouth on Brittany Ferries PONT-AVEN. 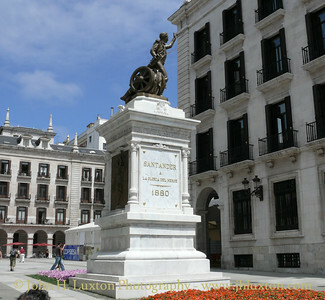 Statue to Pedro Velarde y Santillán a Spanish artillery captain famous for his heroic death in the Dos de Mayo uprisings against the French occupation of Madrid. 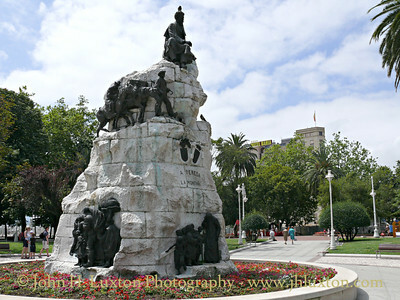 He became a popular hero and martyr figure for Spain's subsequent War of Independence from the French Empire. 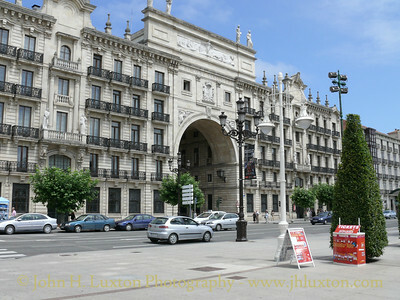 Plaza Alfonso XIII. 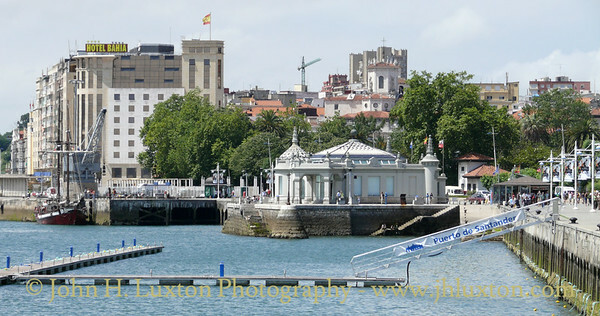 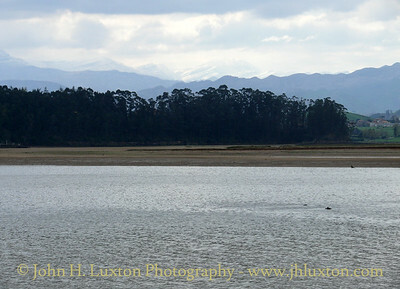 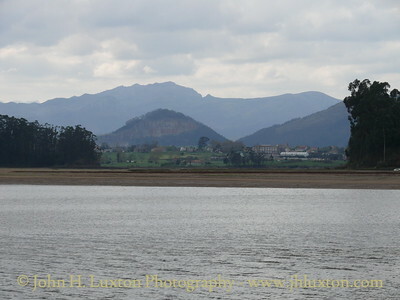 View towards the Palacete del Embarcadero building owned by the Port of Santander it was once a Customs and Excise office until converted to an art gallery. 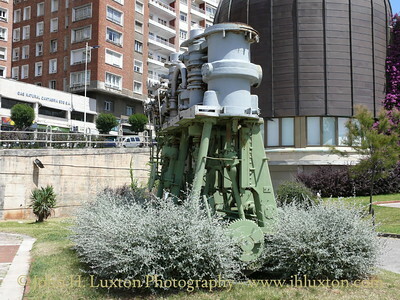 Marine steam engine which forms part of a garden centre piece. 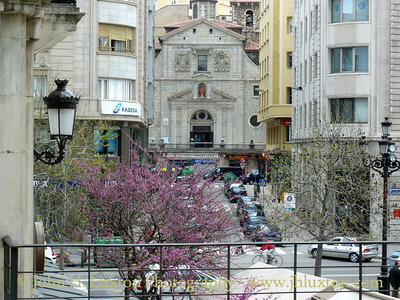 The Palacio de Festivales. 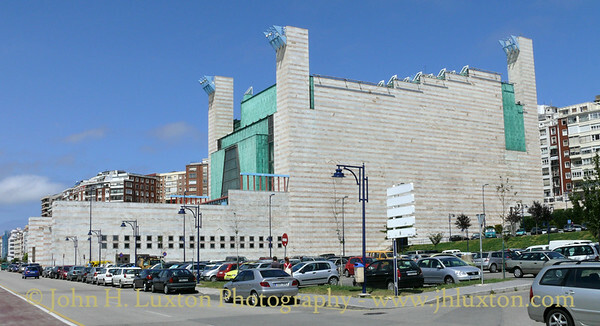 Completed in 1991 the building designed by Francisco Javier Sanez de Oiza of Navarre takes its inspiration from the floating dock of the Mulle de San Martin. 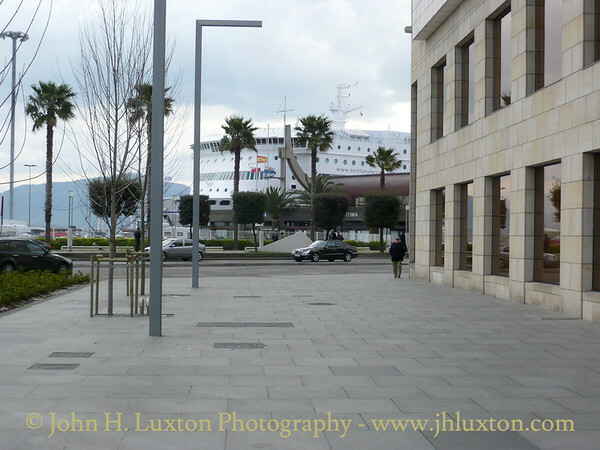 It is regarded as one of the best theatres in Europe and boasts 46 skylights which allow events to take place in natural lighting. 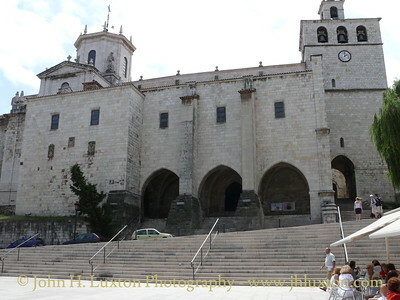 The exterior is clad in marble and copper.